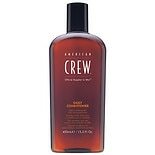 Shop American Crew Daily Conditioner (33.8 oz. )33.8 oz. Shop American Crew Daily Conditioner (15.2 oz. )15.2 oz.